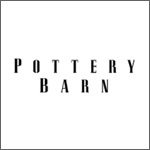 Pottery Barn is a home-furnishing outlet founded by brothers Morris Seacon and Paul Seacon in 1950. It turned out to be a wholly owned tributary of Williams-Sonoma, Inc after it had been purchased from GAP, Inc in September, 1986. It is known for selling varieties of furniture and operates many specialty stores under PBteen and Pottery Barn kids. The company has two retail catalogues - traditional and bed + bath Pottery Barn product lines respectively. It not only has stores but also offers shipping facilities in more than 90 countries across the world. In addition, their design specialists offer expert advices for decoration in email, video chat other than face-to-face interaction. There are currently 1 consumer reviews about Pottery Barn available. Share your review. Please take a note that you are about to post a public review about Pottery Barn corporate office on CorporateOffice.com. This review will be public, so please do not post any of your personal information on this website. If you would like to contact the corporate offices of Pottery Barn, please use their contact information such as their phone number, website, and address listed above to contact them. However, sometimes staff from Pottery Barn headquarters do read the reviews on this website.